Popcorn Machine Stand for Classic 20 oz Popcorn Machine Only. 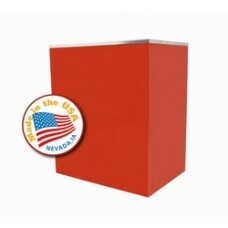 This red classy looking stand has a stainless top and and is constructed with commercial grade steel. Less floor-space requirement than wheeled carts.